Airbus’ BelugaXL over-size transport aircraft has completed its maiden flight as part of its type certification program. 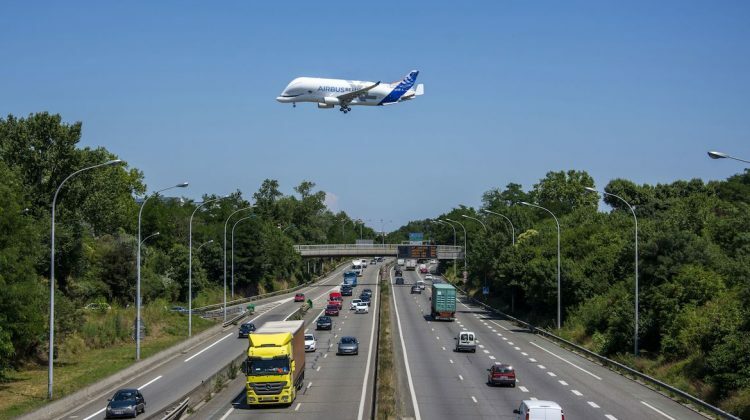 The aircraft F-WBXL, took off from Toulouse at about 1030 on Thursday (European time) and was in the air for four hours and 11 minutes, Airbus said in a statement. 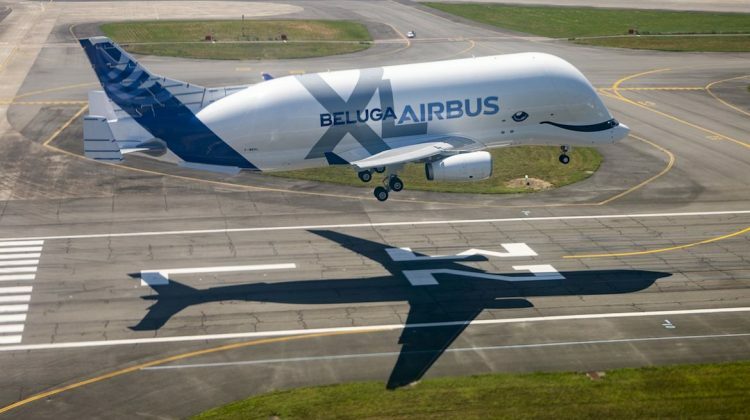 In the flight deck were Captain Christophe Cail, co-pilot Bernardo Saez-Benito Hernandez and test-flight engineer Jean Michel Pin. Joining the trio at the flight-test-engineer’s (FTE) station were Laurent Lapierre and Philippe Foucault monitoring the the aircraft systems and performance in real-time, Airbus said. 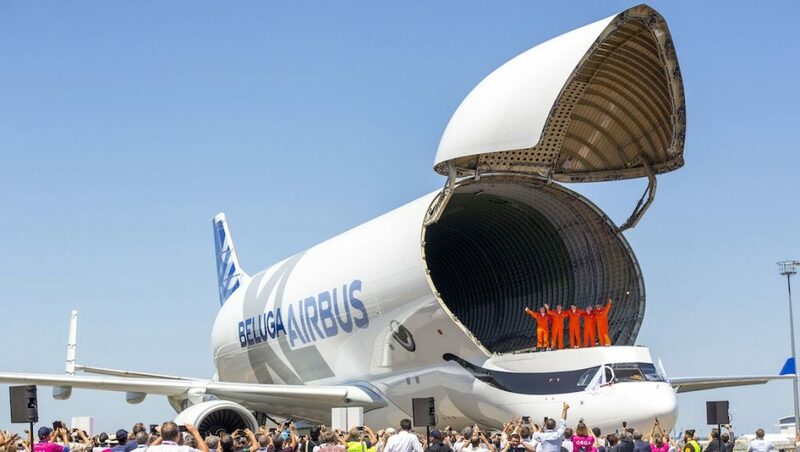 The BelugaXL was expected to rack up about 600 hours of flight testing over the next 10 months, with type certification and entry into service scheduled for 2019. 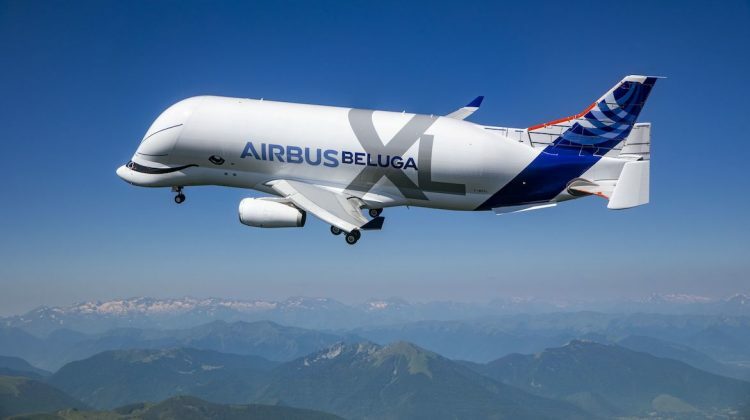 Currently, Airbus’ distributed supply chain runs, partly, on the BelugaST: an efficient if not conventionally attractive converted A300-600 twinjet that roars between the airframer’s sites carrying everything from wings to fuselages and anything in between. 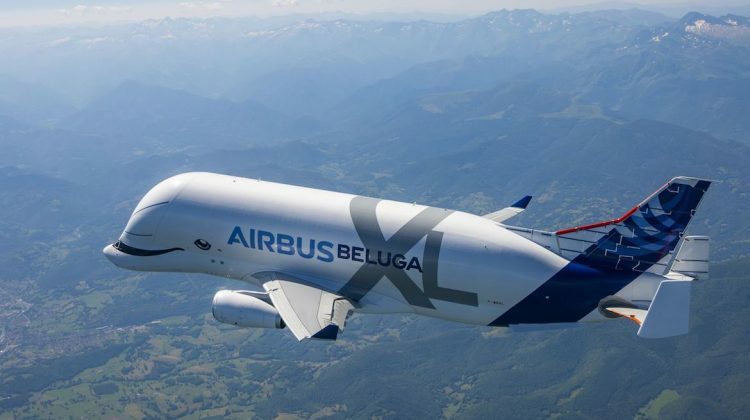 With the airframer needing “to address the transport and ramp-up capacity requirements for Airbus beyond 2019”, the BelugaXL made its ungainly, yet stately galleon-like way into the sky for its maiden flight from Toulouse. 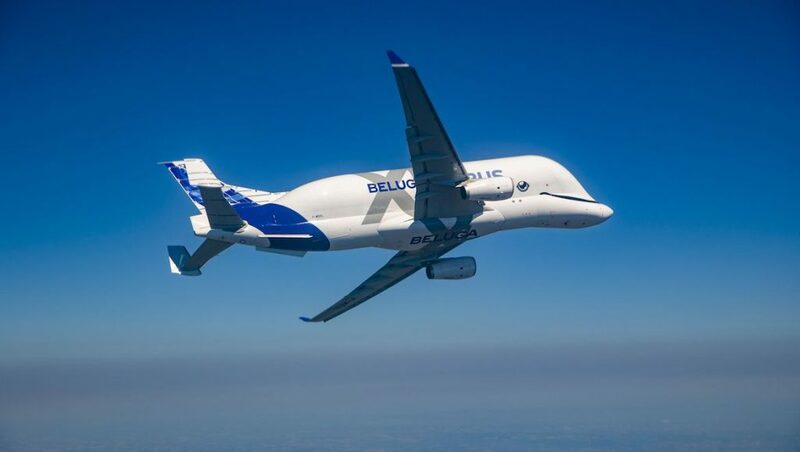 This aircraft is the first of five BelugaXL to enter into service and gradually replace the BelugaST transporters. 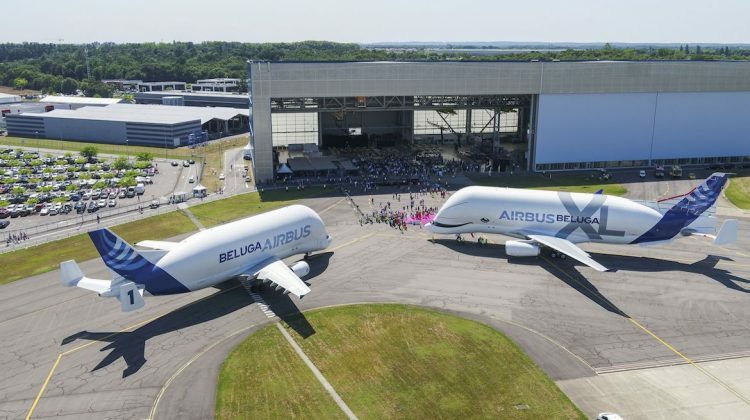 Airbus has said previously the BelugaST fleet would be progressively retired through to 2025. 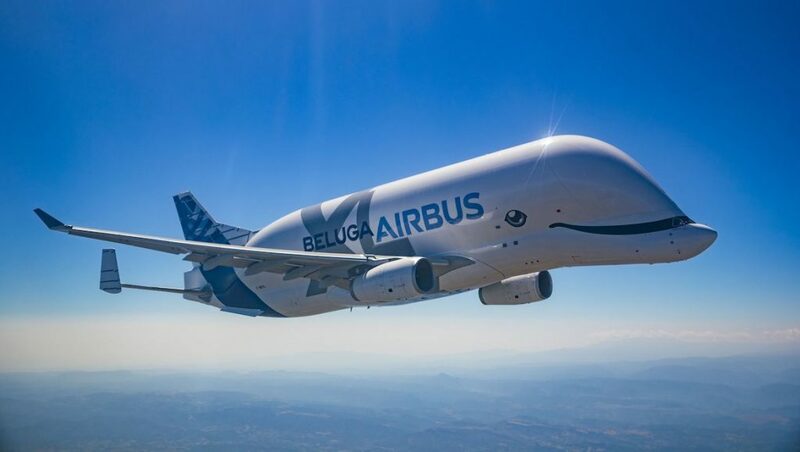 The supersized smile painted across the “face” of the BelugaXL was the winning design from six options Airbus presented to its employees in 2017. Airbus said that of the 20,000 people who participated, the “smiley” livery won with 40 per cent of the vote. 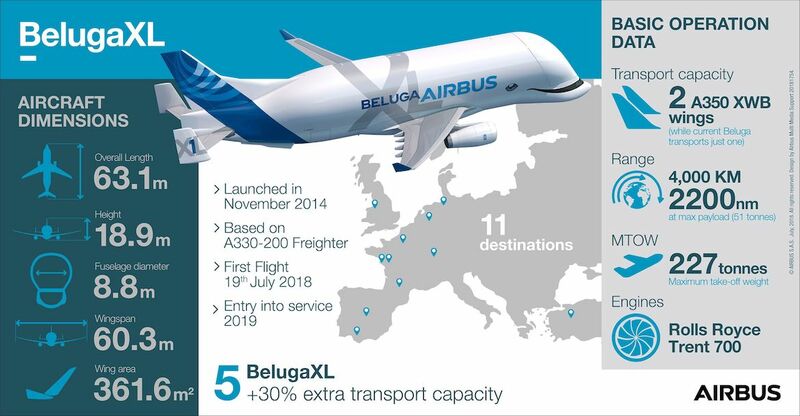 The BelugaXL is six metres longer and one metre wider than Airbus’s existing fleet of five Beluga ST aircraft. VIDEO: A closer look at the Airbus BelugaXL from construction to first flight from Airbus’s YouTube channel. 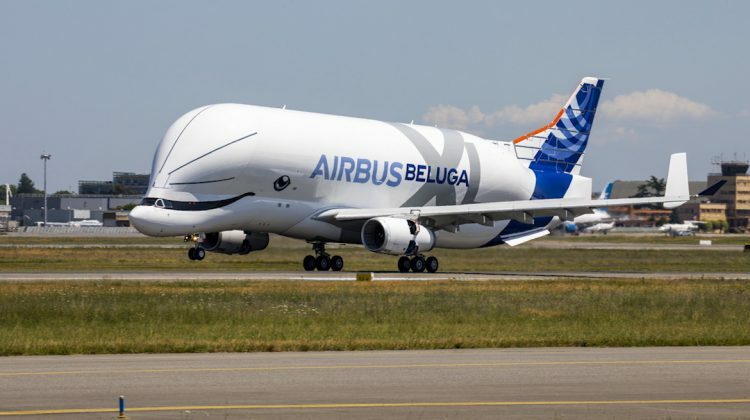 Is the F-35A price about to drop below US$90 million?